Halloween is just around the corner and my girl is already making plans for this special treat-filled day. She is going to be a bride and wants to Trick or Treat a little bit and then go to a friends' Halloween party for 6:30 pm. 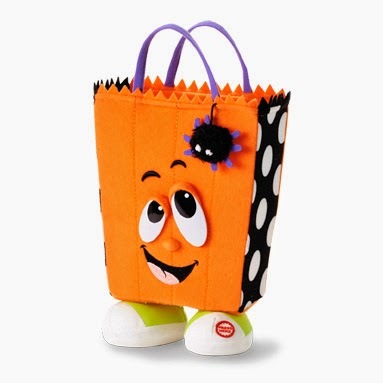 To get in the mood for Fall and Trick or Treating, Hallmark Canada has a new crop of fun decorations. These are two of our favourites. This product has taken residence on my coffee table and has enough space for a few handfuls of wrapped candies in the opening. The candies dance out as my daughter activates the sound and music, but that adds to the fun. retails for $19.95 with purchase. *Available in store only. 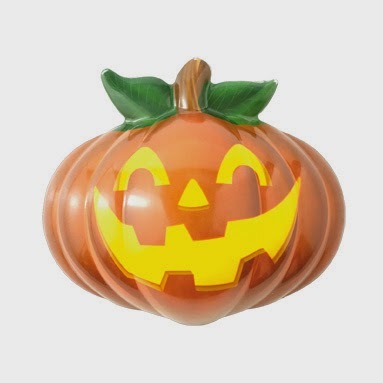 Even though the Trick or Treater Greeter is one of our favourite products for Fall 2014, we found the pumpkin decoration a little loud to be honest. I prefer more than one volume setting on most music and sound products. I have hung it on my door, between the exterior and storm door. Disclosure: As part of the Hallmark Canada Press Pause Panel, I receive occasional perks with no obligation to post. All opinions remain honest and my own.